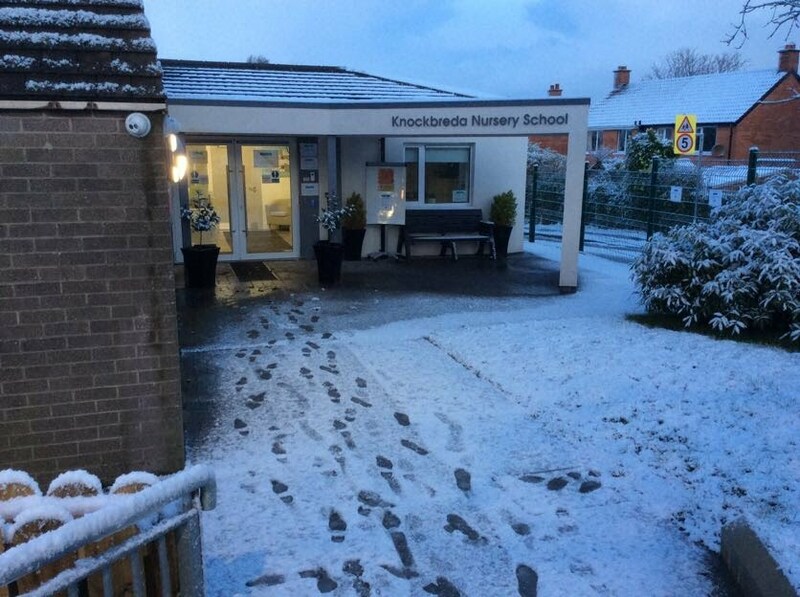 Knockbreda Nursery School is open today despite the snow! As we will play outside today, please ensure that your child is suitably dressed for the snowy weather. The paths outside Nursery have been cleared but as the snow is falling fast, please take additional care when making your way along the path to Nursery and down the Nursery steps. All arrangements for the Red Apple early collection this morning and Green Apple Christmas performance will continue as planned. Posted on December 8, 2017 by Dr Mitchell-Barrett.